After dropping a tough game 1 on the road Saturday, the Jr. ‘A’ Shamrocks came into the Save-On Foods Memorial Centre hoping to even their best-of-five playoff series with the Coquitlam Adanacs Sunday. Unfortunately, the visitors once again dominated the second half of the game and took game 2 by an 8-4 score. Starting goaltenders were Christian Del Bianco for the Adanacs and Cameron Dunkerley for the Rocks. The visitors scored first, Adam Fulton getting in close 3:06 into the opening frame. Victoria capitalized on a power play at 6:01, Brad McCulley getting in close to tie the score. They went ahead at 7:06 off a transition break, David Byrne finding twine. At 9:08, Caleb Kueber made it 3-1 Shamrocks, that goal also coming with the man advantage. Coquitlam replied, Dylan Foulds scoring at 12:57 with a hard shot from outside the dotted line and added his second of the game at 14:27, a power play marker also from well out. The visitors went up by a goal with John Hofseth’s unassisted goal from the side of the crease at 16:33 and that gave the Adanacs a 4-3 lead heading into the first intermission. They also held the edge in shots on goal by a 17-12 margin. 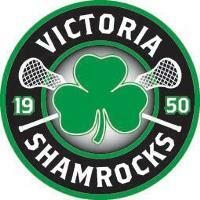 The Shamrocks pulled even 5:06 into the middle frame, Marshal King with a hard, low shot from outside the dotted line. It looked like it would be a barn burner but the Shamrocks were unable to buy a goal the rest of the way. Coquitlam jumped into the lead again at 6:06 from inside the dotted line, Larson Sundown getting the first of 2 straight as he added his second at 11:39. Mathew Kim made the score 7-4 for the visitors at 14:36 and that was how the second period ended. 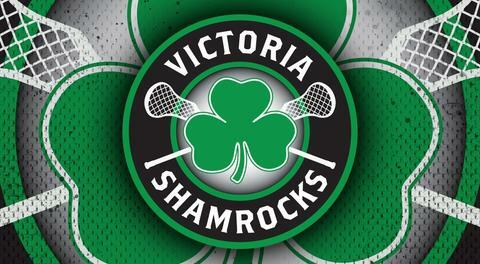 The Shamrocks held a 1-shot edge in shots on goal, 18-17 in the period. The final period saw just 1 goal scored, that came from the Adanacs’ Will Clayton at14:40. Dunkerley came up with some big saves late in the period but Victoria’s offense was unable to generate the goals needed to pick up the win. Victoria’s goal scorers were David Byrne, Brad McCulley, Marshal King and Caleb Kueber while league scoring champ Braylon Lumb was held to just 1 assist. The series moves back to Coquitlam for game 3 next Saturday. Should a game 4 be required, it will be back in the Q Centre, Sunday, July 22. 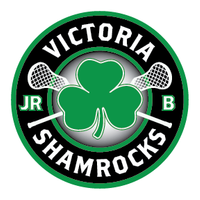 Meanwhile, on the mainland the Tier 1 Shamrocks swept the Richmond Roadrunners, winning game 2 of the best-of-3 series in double overtime 11-10. That follows a 10-5 win in game 1 at the Save-On Foods Memorial Centre. They now await their next opponent.